Chemical pollution that enters our oceans could jeopardize many of the killer whale populations around the world. Even though chemical pollutants were banned 40 years ago, they are still present in large quantities and could wipe out half the world’s killer whale populations by the end of the century. A new study published in the journal Science looked at killer whales (also known as orcas) and found that those beautiful creatures are suffering due to polychlorinated biphenyls. PCBs were widely used as coolants and in the production of carbonless copy paper until it was discovered that they pose a toxic threat to the environment. The production and distribution of PCBs were banned in the U.S. in 1979 and internationally in 2001. However, the pollutant is still used in some parts of the world and probably won’t be out of use until 2025. As a result, chemical pollution easily gets into the oceans, where it poses dangers to many marine animals, including the world’s killer whale populations and other marine mammals at the top of the food chain. These chemicals don’t break down easily, so their concentration increases in the bodies of predators as they eat animals that are filled with PCBs. Since orcas are mammals, they transfer the PCB contamination from mother to offspring through their milk. Since they are at the top of the food chain, orcas are the most affected animals during their 50- to 80-year lifespan. According to the study, PCB levels are as high as 1,300 milligrams per kilo in the blubber of orcas. 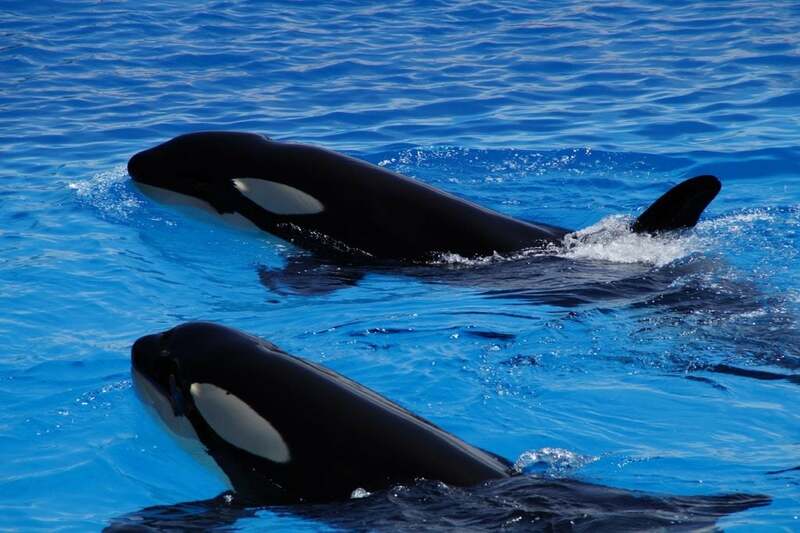 Just 50 milligrams per kilo can cause infertility and immune system problems in orcas. The impact of PCBs on fertility rates and immunity has already jeopardized many killer whale populations, as researchers found a rapid decline in 10 of the 19 populations included in the study. “The findings are surprising. We see that over half of the studied killer whales populations around the globe are severely affected by PCBs,” Jean-Pierre Desforges of Denmark’s Aarhus University said in a statement. The worst-affected killer whale populations are in Brazil, the Strait of Gibraltar, the northeastern Pacific Ocean, and areas around the British Isles. Alisa Hall of Scotland’s Sea Mammal Research Unit said they rarely see newborn killer whales in these areas. Chemical pollution acts slowly but is dangerous because of killer whales’ long lifespans. Even the pollutants that were released in the environment decades ago are still having an impact, and this problem will continue as long as the dangerous pollutants continue to be produced and released. More than 150 countries have signed the Stockholm Convention on Persistent Organic Pollutants, a treaty which aims to end all PCB use by 2025. However, many measures must still be taken to stop the effect these pollutants are having on the world’s killer whale populations. “There is therefore an urgent need for further initiatives than those under the Stockholm Convention,” study co-author Paul Jepson of the U.K.’s Institute of Zoology said in a statement.